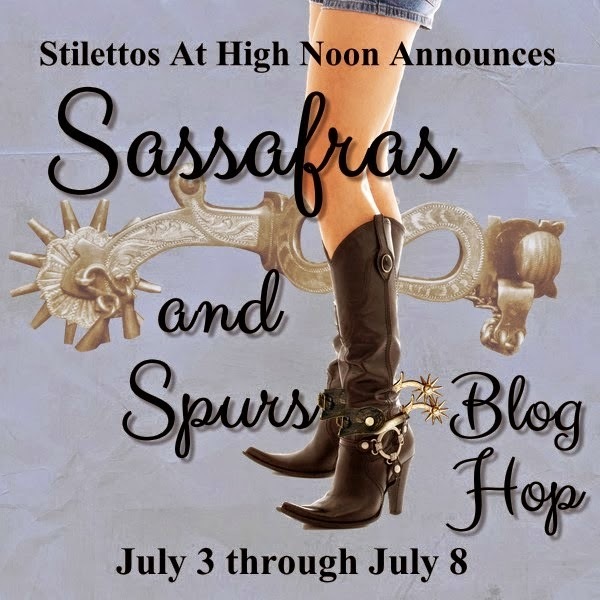 sponsored by Stilettos At High Noon !! We also have a great giveaway! so don't forget to leave a comment ! “Very nice to have you join us, ma’am,” he said and extended his hand. She seemed immobilized by shock as she looked between him and her father. “Don’t talk like that. You won’t be going anywhere for a long time yet.” Ally’s voice softened and her shoulders sagged. He angled toward the hallway leading to his room, sensing her gaze following his movement, and assumed she would prefer if he cleaned up, ate, and slept in the bunkhouse with the other hands for the night. However, he wouldn’t be doing any of the sort. Jesse had given him a bedroom upstairs in the sprawling home, conveniently overlooking the barns, bunkhouse, and outbuildings, and he intended to use it same as always, especially if it pissed her off. Make sure to stop and visit the other contributors as well ! This book is on my Kindle! Sounds like a great book. I wish a cowboy would take me home. Ok, I'm sold. Got to get this book. Oh I would love to read this book. I love the cover and it sounds totally awesome. I can't wait to get a copy. Is it part of a series? I've never read this book. Always love finding new authors! Christmas in July #giveaway ! !